Goodwill offers exclusive services and training to improves the skills and create job opportunities for numerous persons especially for the people with disabilities, persons with criminal background, immigrants, and youths. Goodwill is a charitable organization that provides their services since more than 75 years. They offer employment in their various non-profit organizations including retailing and donations to the persons participated in their program. They execute their program from the donation collected from the communities and the revenue collected from their retail stores. 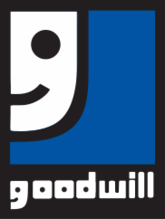 Goodwill provides excellent products from their retail stores located in 20 locations. Moreover, the also provides services in waste management and recycled products business. There are currently 0 consumer reviews about Goodwill available. Share your review. Please take a note that you are about to post a public review about Goodwill corporate office on CorporateOffice.com. This review will be public, so please do not post any of your personal information on this website. If you would like to contact the corporate offices of Goodwill, please use their contact information such as their phone number, website, and address listed above to contact them. However, sometimes staff from Goodwill headquarters do read the reviews on this website.